United's seventh consecutive year with Nike's Just Sports Group kicked off early, with the 2015/16 kit being unveiled on the 19th May 2015. 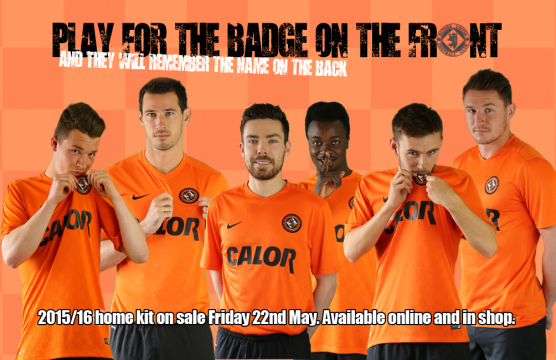 Again made with the latest Dri-FIT technology, at first glance the new Home kit looked identical to the 2009/10 kit. However, sporting a V-neck collar and full mesh back panel, it had a jacquard fabric creating a subtle chequered pattern throughout the material which had a lightweight soft feel. Going into their second year of their two year deal extension, both Calor (main front) and GA Engineering (shoulders on back) appeared on the shirt once more, along with the Nike swoosh and embroidered club badge. The all black shorts continued to have local company JF Kegs logo on the right thigh, just above the club badge. The plain tangerine socks were again sponsored by haulage contractor Norman Jamieson Ltd, going into their second year with the club. 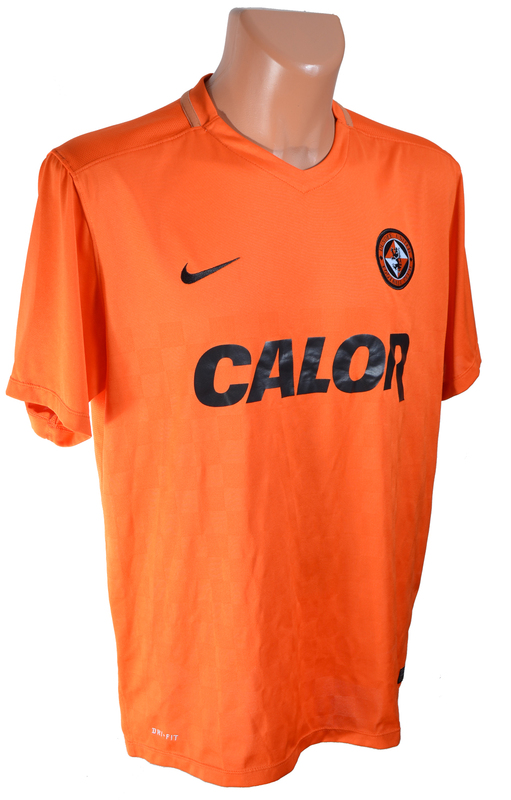 The new kit had its debut in the final game of the 2014/15 season, the 3-0 victory over Dundee at Tannadice. However, it will always be associated with United's drop to the Championship, with the club being relegated a year later after a disastrous season.